Sadly, airline delays have become a ‘way of life’ for most of us. We accept these delays with annoyance, but also with resignation. But it doesn’t have to be this way, especially if your flight delay has severely affected your plans and schedule. This is true for all carriers – and Thomas Cook Airlines is definitely not exempted. There is a Regulation called the EC-Regulation 261/2004, which can be your best friend when it comes to claiming compensation for flight delays. This regulation is applied to passengers leaving an EC airport or an airport in a third country and traveling to an EC country, as long as the airline they are booked with is an EC one. The scope of the regulation also includes those who have a confirmed flight reservation on the actual flight, and those who have been able to present themselves for check-in. In case there is a delay of less than four hours, you are entitled to certain necessities whilst waiting. For instance, you are entitled to refreshments and meals, and you can also be entitled to accommodation in a hotel which can be combined with a prospective transfer. You are also entitled to two telephone calls, fax messaging, telex messaging, or e-mail messaging. 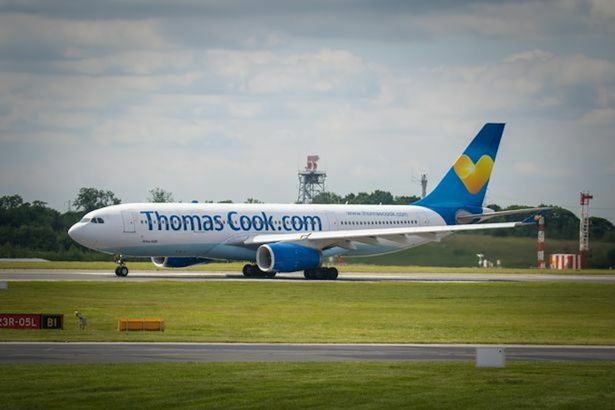 You can demand compensation for a flight delay from Thomas Cook if the flight was delayed for more than three hours. The amount of compensation you can ask for would generally depend on the distance of the flight as well. For example, if the distance of the flight is less than or equal to 1500 kilometres, you can get compensation amounting to €250. If the flight is in the range of 1500 to 3500 kilometres, the compensation awarded can be around €400. For flights that are over 3500 kilometres, compensation can be approximately €600. But keep in mind that amounts can be greater than this if you seek professional help. However, you should also note that you may not be able to claim compensation for a flight delay if the event was due to extraordinary circumstances that were not under the control of the airline, such as bad or extreme weather situations, political crises or instability, risks on security and safety, and strikes. Also, you may not be able to claim compensation if you were excluded from the actual flight due to reasons such as health issues, security concerns, or inadequate or incomplete travel requirements or documents.